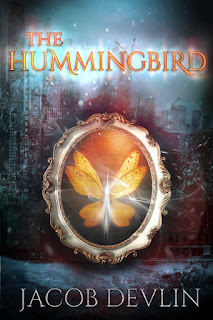 This week Blaze Publishing has revealed the cover of the third book of Jacob Devlin, The Hummingbird. How precious is it?! It's so pretty and eerie. Since Jacob Devlin wants to see our reaction to this cover through gifs, here is mine (you can visit his website and share yours). The Hummingbird is expected to be released on September 20th 2018. Determined to take back his home and restore order to the worlds, Crescenzo must rally all the people he's met from his adventures, from the troubled prince to the rebellious Lost Boys, and storm Avoria's castle of illusion. The Carver's war against the wicked Ivory Queen brews to an explosive finale, but dark secrets about her true nature have yet to emerge, and not everybody will be prepared to survive them." Oh that cover is so pretty!